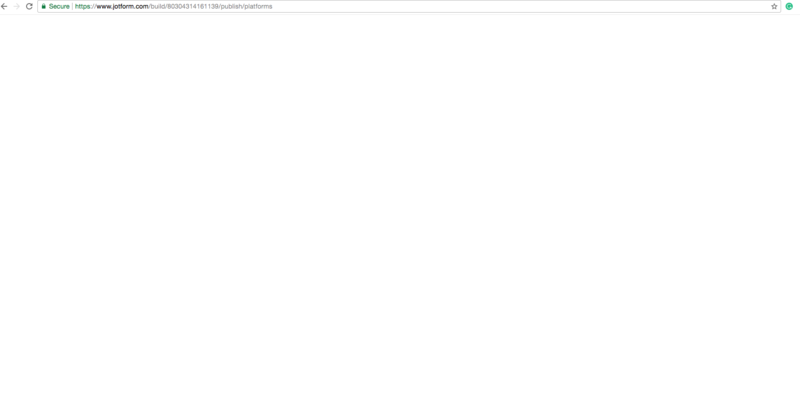 I've created a form, but when I try to get the squarespace code, the page goes white as if it's loading but it never gives me the code. The page just stays white. I've logged in and out, tried different browsers and different forms and it happens on all of them. I really need to get a form up today. Could you please try using iFrame code instead .